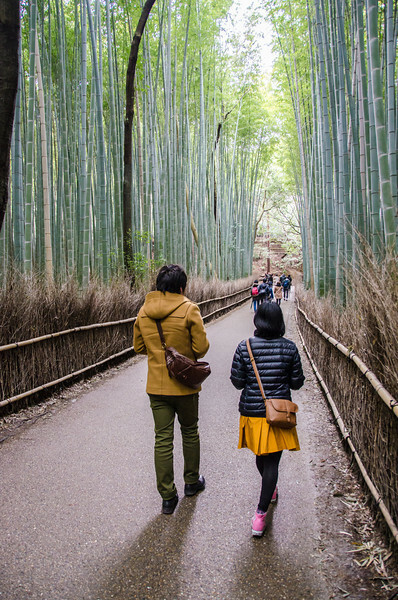 I’m not alone in being captivated by the Arashiyama bamboo forest — this glowing natural grove is one of the most photographed places in one of Japan’s most photogenic cities, Kyoto. The scale is part of it. 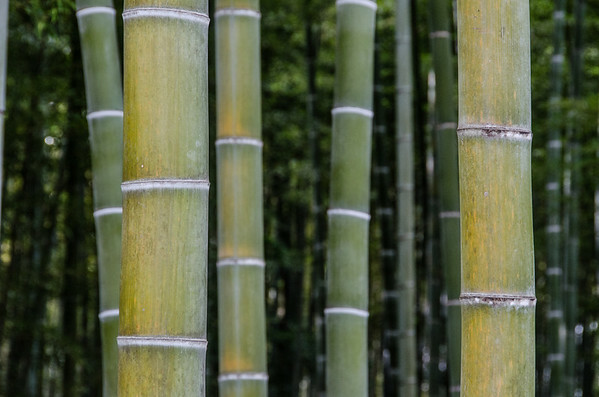 The grass (as I remembered that bamboo is a grass, not a tree!) towered over us and I felt so small. Also, there was the vibrant color of the trees. The path is shaded, but the canopy glows a citrusy lime green through the reflected rays of the sun. The path offers a chance to meditate on the simple beauty of light and color and nature. 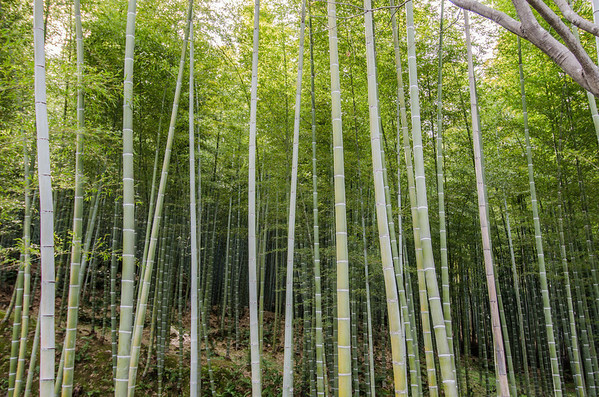 The Arashiyama Bamboo Forest is a 10 min walk from Saga Arashiyama train station (JR Sagano line) and a 15 min walk from Arashiyama train station (Henkyu railway). 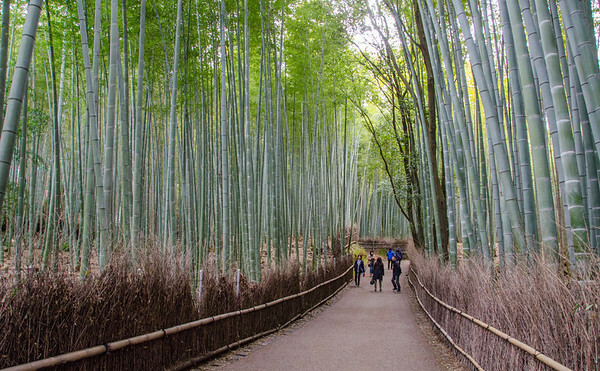 It’s best paired with a visit to the Tenryu-ji Temple, the grove is right in back. Thanks, Jenna! It was such a interesting place tucked in behind one of Kyoto’s 1,000+ shrines and temples. There’s so much beauty in that city! 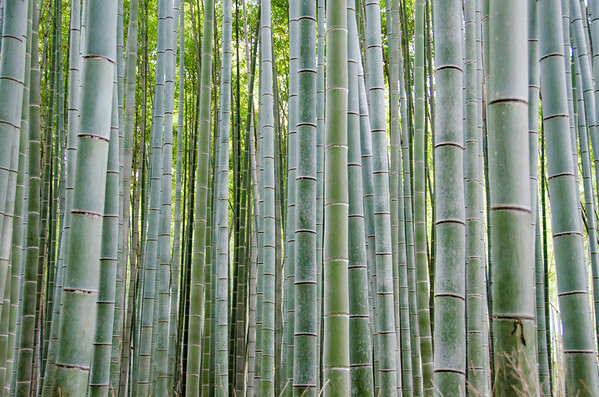 Cassie, I love your photos of the bamboo. Unfortunately we did not see this the first time we went to Kyoto, so we’re planning another trip…maybe next summer.